At the weekend EA published the first official trailer for Star Wars Battlefront II. It subsequently followed up with some official game information pages, and pre-orders opening for the game, due in November on PC, PS4 and Xbox One. Interestingly, the single player missions in this game have you playing as a member of an Imperial Special Forces unit. EA's trailer video uses 'game engine footage' for telling its story. The main single player mission takes the perspective from 'the dark side'. 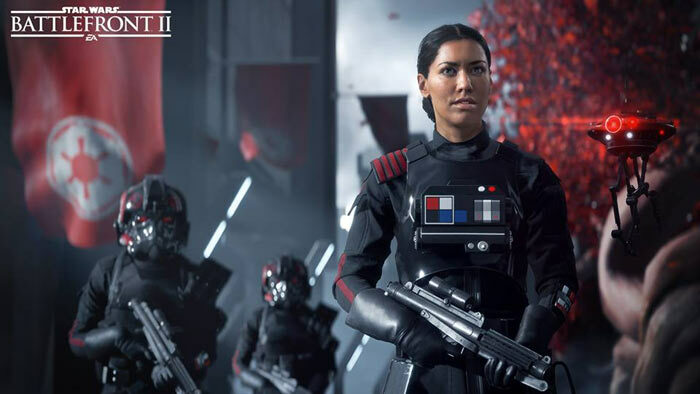 In Star Wars Battlefront II you play as Iden, an elite Stormtrooper and commander of Inferno Squad, an Imperial Special Forces unit. Witnessing the destruction of the Death Star from the planet surface below, Iden vows to avenge the emperor's death at the hand of rebel forces. EA dubs this "the untold soldier's story". 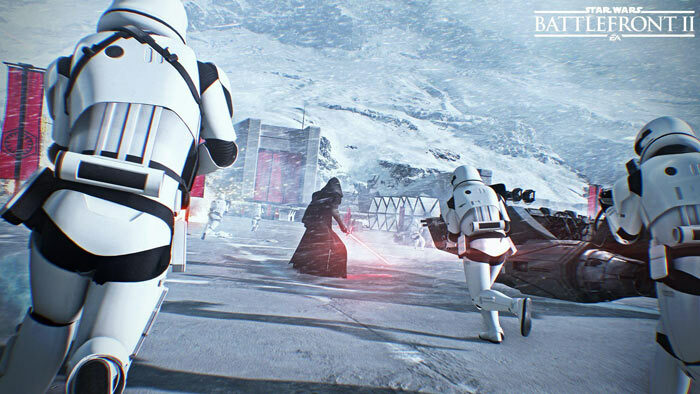 In addition to the above, EA says Star Wars Battlefront II players will be able to play as and against "characters from every era", such as Kylo Ren, Rey, Darth Maul, Yoda, and more. The characters have been carefully configured to bring their distinct abilities to battle. All character abilities can be tailored and improved via a powerful progression system. Multiplayer has been expanded in this new outing. Up to 40 players can battle in Star Wars locations across all eras on land, and in the air. 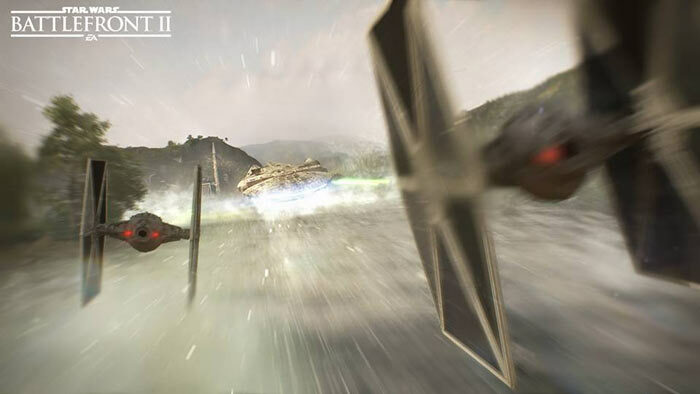 However, in space battles, multiplayer dogfighting is limited to 24 gamers at a time. 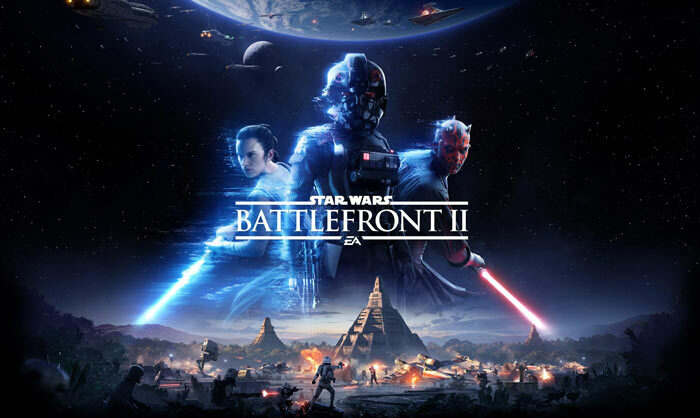 Star Wars Battlefront II is released for PC, PS4 and Xbox One on 17th November. There are Standard (£54.99) and Deluxe (£69.99) editions you can read more about here. Those with EA Access on Xbox One or Origin Access on PC can start playing from 9th November, with progress saved to continue in the full game, should you go on and buy it. How was everyone's experience on Battlefront 1 ? Shallow gameplay, jetpack and grenade fest, dumb vehicle system. Fun, quick, amazing sound design but ultimately shallow and short lived. I liked it. The only problem was the mahoosive amount of cheating, and the extremely hard contracts to get better weapons. Visually and aurally excellent with some nice big maps.